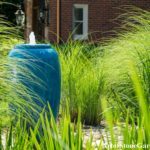 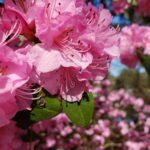 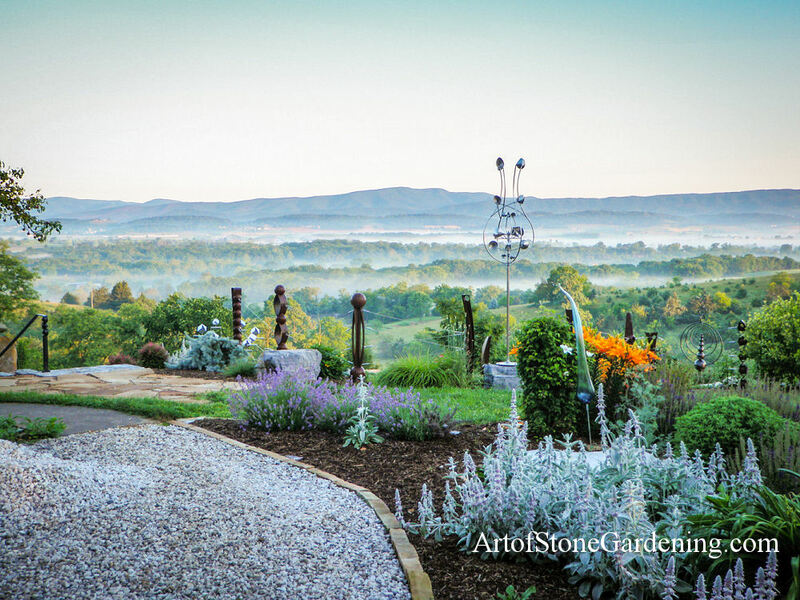 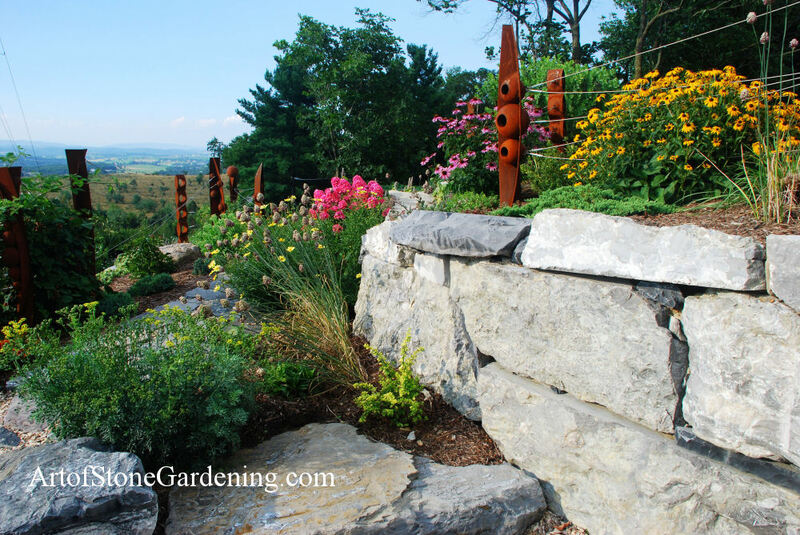 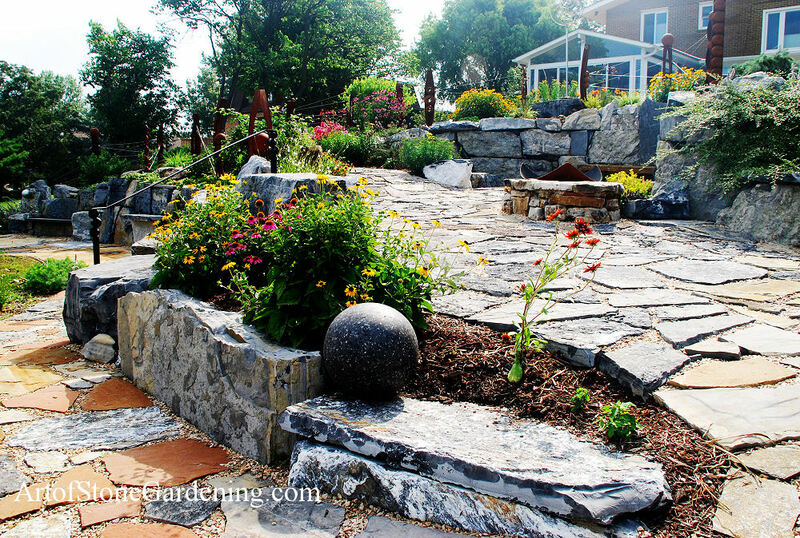 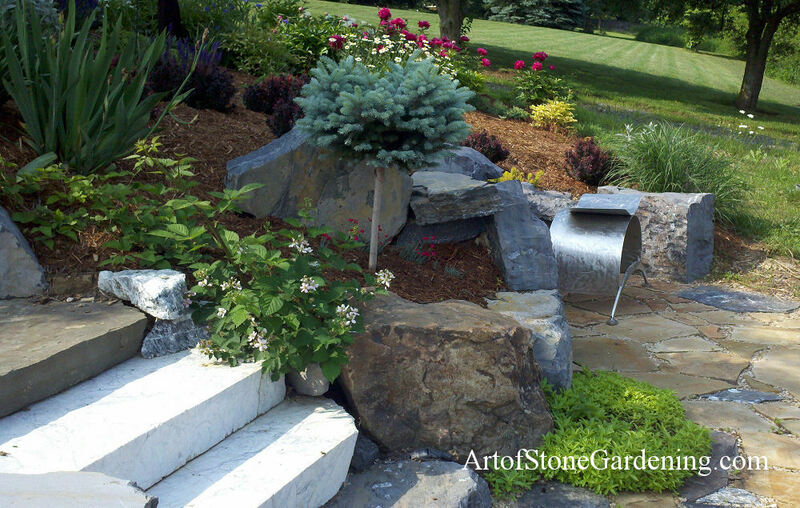 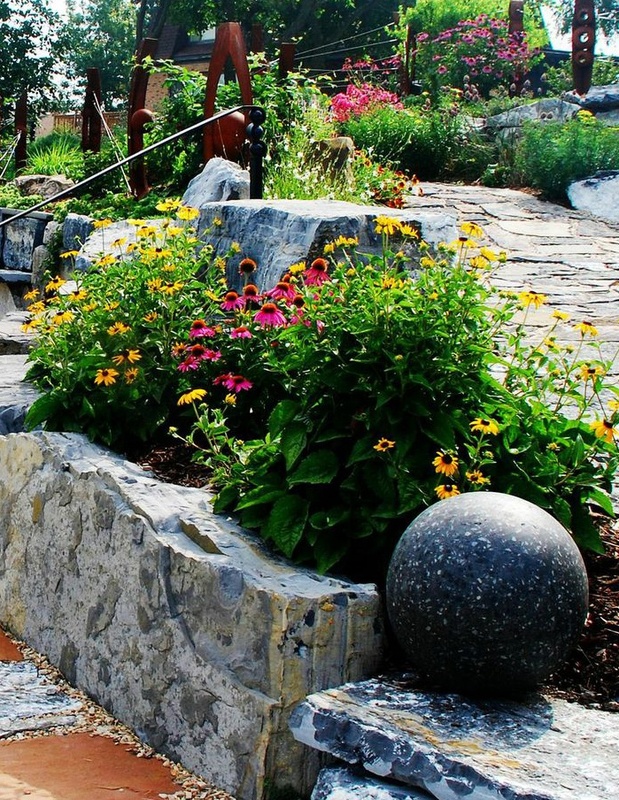 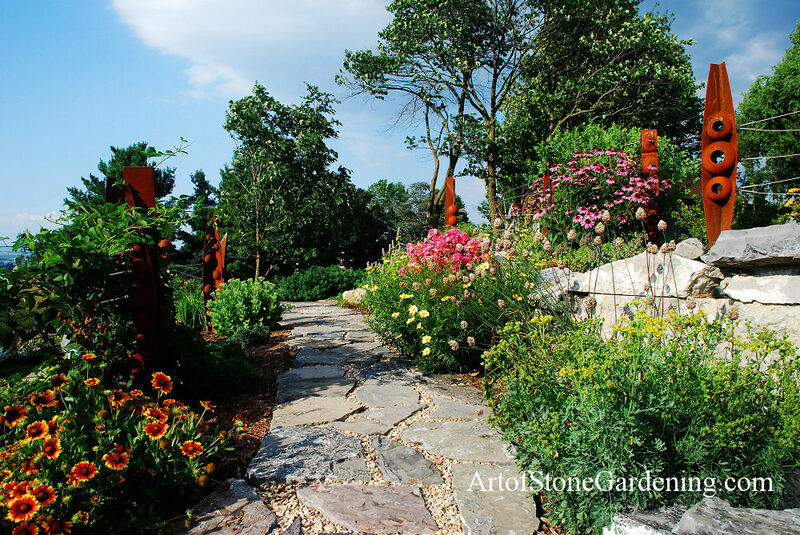 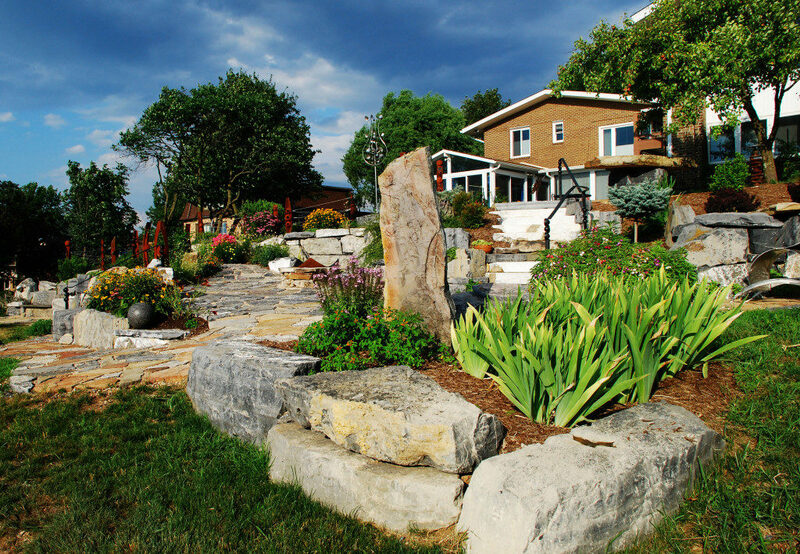 This massive undertaking transformed this gently sloped hill into a plant lovers paradise. 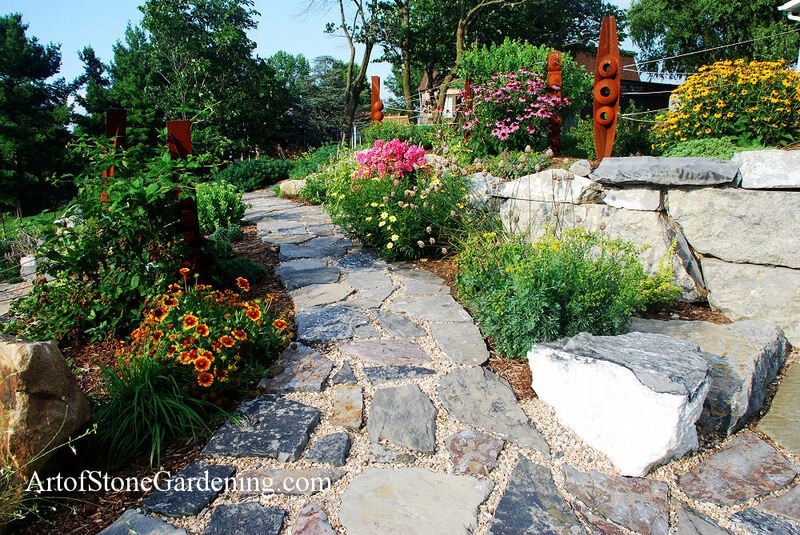 Multiple pathways wind between garden beds where carefully chosen plants thrive. 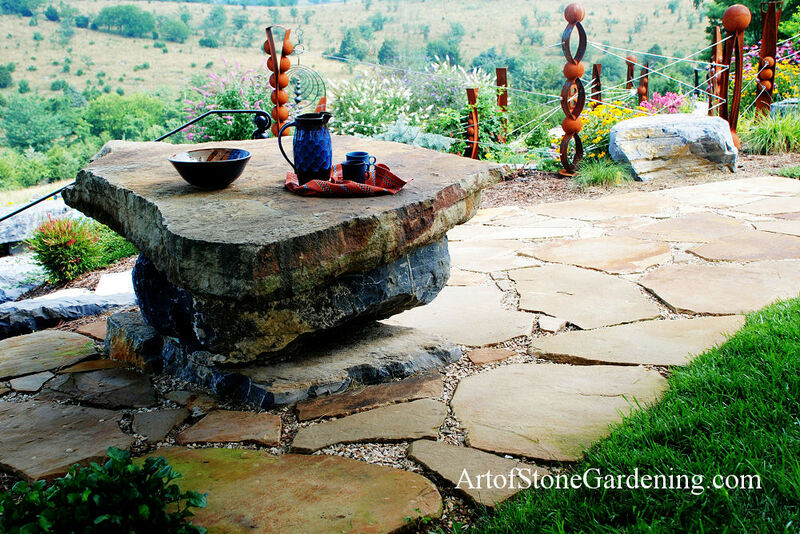 Scattered benches and seats provide multiple places to view the garden. 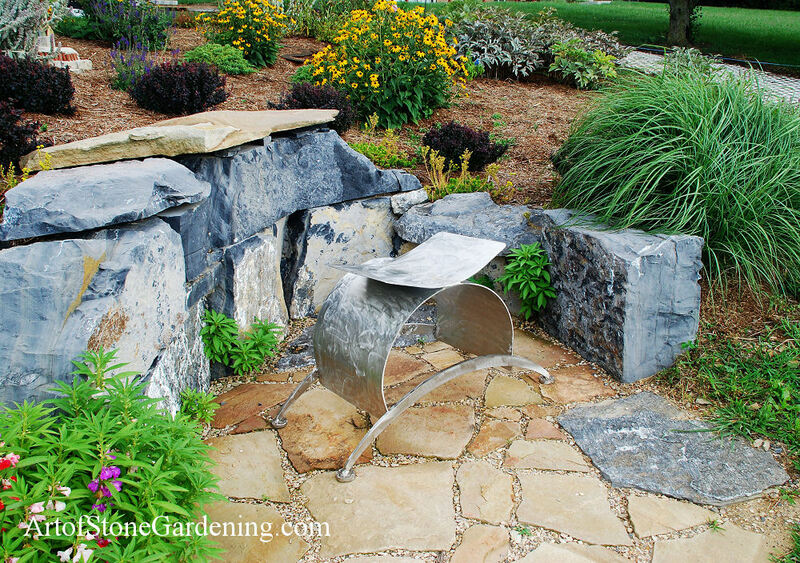 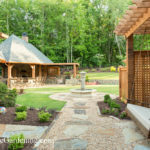 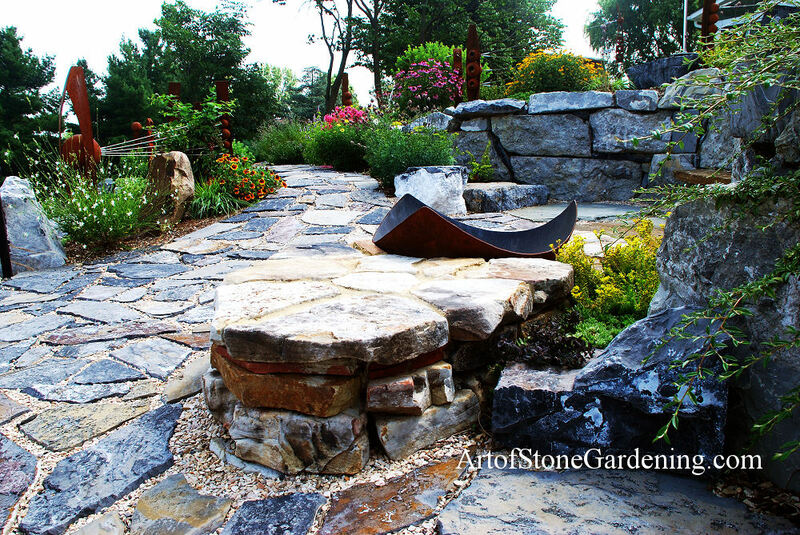 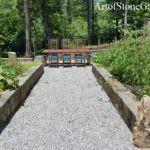 A fire pit that looks like a modern metal sculpture is tucked away in a small alcove, a large stone table for friends to gather at is nestled in another.